A state-of-the art referral center dedicated exclusively to the diagnosis and treatment of retinal disease. 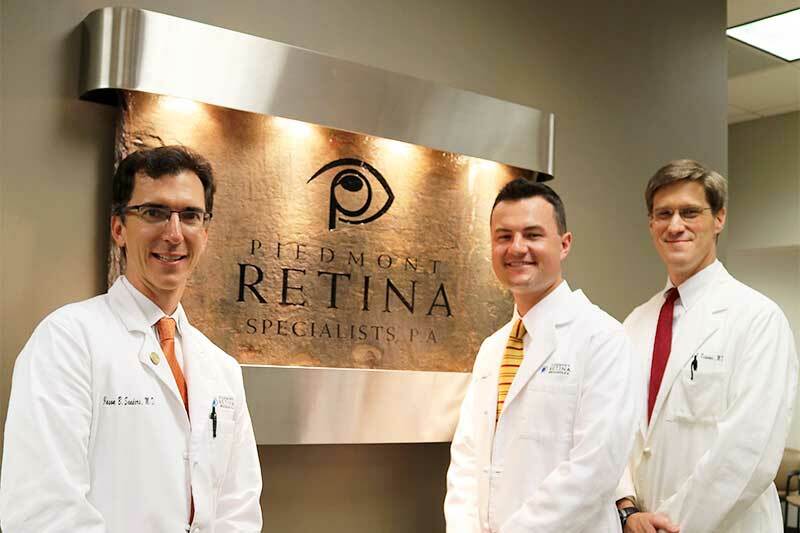 Dr. Jason Sanders, Dr. Charles Richards and Dr. Nathan Haines of Piedmont Retina Specialists are committed to providing compassionate and personalized care as well as maintaining an advanced, modern facility. Our team will work side by side with your doctor to ensure that you have the best possible care for your retinal condition. What is a retina specialist? A retina specialist is an ophthalmologist who has received additional fellowship training in diseases and surgery of the vitreous and retina. 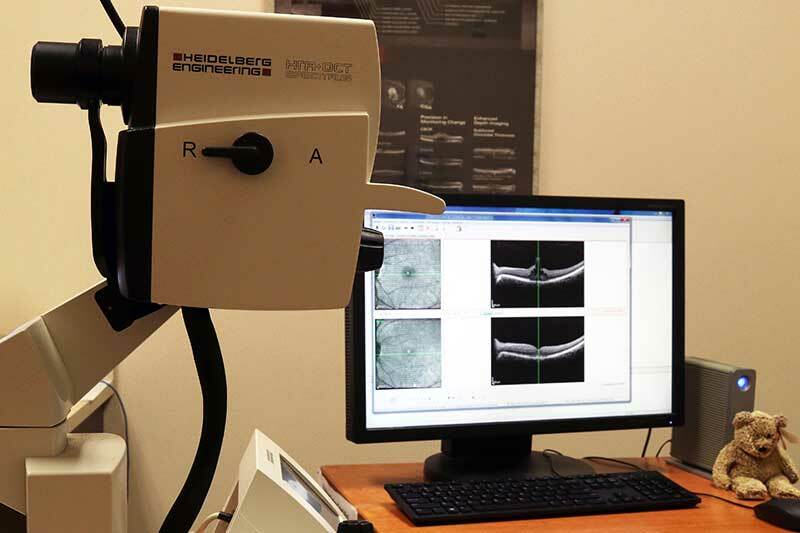 The doctors of Piedmont Retina Specialists commonly treat diabetic eye disease, vitreous hemorrhage, macular degeneration, retinal detachments, uveitis, macular holes, epiretinal membranes and ocular tumors. 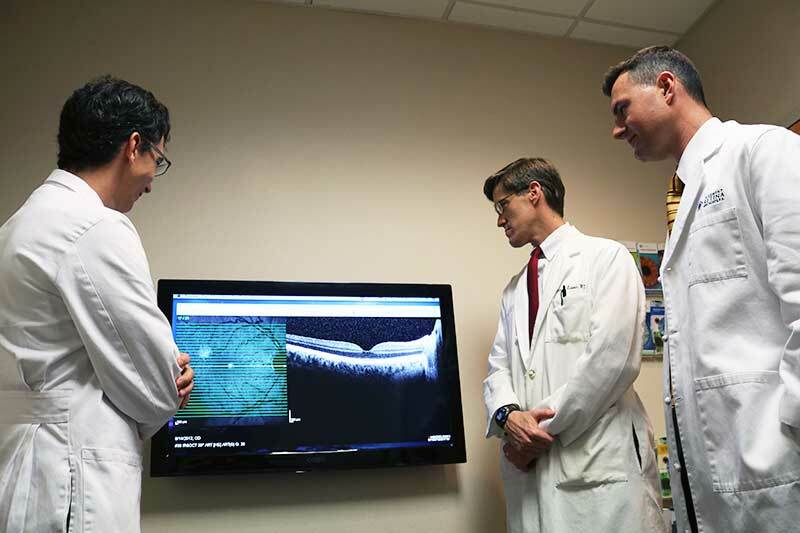 "Extremely blessed to have Piedmont Retina Specialists treating my eye disease. The level of care and compassion I have received over the last few years is greatly appreciated. ... Love the atmosphere of the office and enjoy laughing and joking with the staff, they all make an uncomfortable situation easier to handle." 2018 © Piedmont Retina All Rights Reserved.